All my adult life, it turns out, while I've been fearing HIV -- as much because of stigma as because of the actual life effects -- I've had another infectious disease that is much more mysterious to this day. My life changed abruptly in April of 2010: blurred vision that I had had on and off since my 20s became double vision; occasional hearing fluctuations in my left ear that I had had on and off since my 20s became total deafness, or sound drowned out by maddening tinnitus. I had extreme panic attacks and bouts of such extreme fatigue that kept me from getting out of bed. I was so depressed; I could make no sense of what was happening. I had recently moved to Washington, D.C. from the Virginia suburbs, and it took over a month to find a doctor's office that would accept new patients -- despite the severity of symptoms. One office I called said that they were only accepting new patients who are HIV positive... long pause... "Oh, OK," I said. "I'm not." I was born in 1978 with an idiopathic illness that caused severe anemia; throughout early childhood, doctors suggested blood transfusions. My mother refused for fear of the emerging crisis that would become known as AIDS; instead, my parents literally force-fed me red meat to avoid transfusions. As I adolescence arrived and my sexuality presented itself on the threshold of the '80s and '90s, AIDS was a real-life American Horror Story for gay men, and I inherited a tremendous fear of it. And here's the truth: As much as I always feared HIV and AIDS in my youth, I probably feared the scarlet letters of those acronyms even more. To me, HIV and AIDS were avoidable but ever-present dangers, and if I acquired HIV, it would be because I personally failed to protect myself. Every HIV test I've ever taken throughout my life has caused a panic attack. From working out six days a week to not being able to get out of bed, I was terrified. I finally found a doctor's office that would accept new patients. As I was heading there via the D.C. Metro -- whose stairway-to-heaven-length escalators are perpetually broken -- my left leg went limp suddenly and went from doing its job to becoming dead weight. I literally hopped down the perpetually broken Dupont Circle escalator on one leg, dizzy and almost certain I was going to collapse and take a slew of commuters down with me as I slinkied my way to the bottom. But that didn't happen. I made it to the Metro, and to the doctor's office. I described my symptoms; he was genuinely troubled by them, and I knew this was serious. My new doctor's first question, unsurprisingly but terrifyingly, was, "Have you been tested for HIV?" My heart skipped beats; it seemed like an inevitable fate: All my life growing up gay during the AIDS crisis, the only monster I really feared in the world, and despite all my efforts... was this it? Had fate caught me off guard? Actually, no. And this is the point of sharing this story -- particularly with other gay men. I've been tested for HIV every six months throughout my entire adult life -- even during years-long periods of total celibacy (when you're ill, life reprioritizes itself), and I remain HIV negative. I resent my internalized fears about the disease and I certainly don't have anything but empathy for those who have come up positive -- but I can't shake that I was conditioned to really fear this monster, through the collective traumas of the '80s-'90s. So isn't it an ironic twist of fate that I'd end up with something that, quite unlike HIV, is very difficult to diagnose and far less treatable. Thanks to decades of research with significant funding, a diagnosis of HIV has transformed from a certain-death sentence to a chronic but manageable disease. Twenty-five years ago, it would have been unthinkable for someone to say "I'd rather have HIV than diabetes" -- but that's exactly what this doctor said, as HIV has become for so many something they live with, not something from which they die. 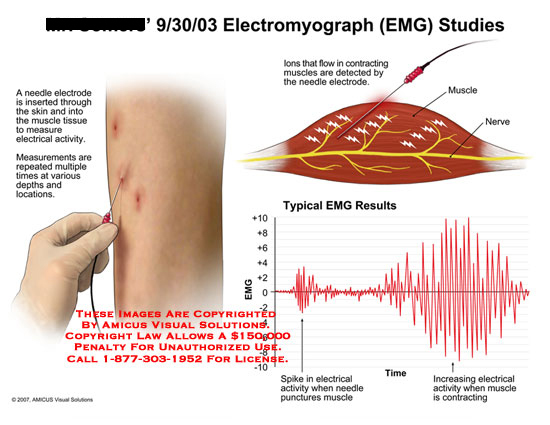 For a number of years, as symptoms as severe as cluster headaches (called "suicide headaches" for good reason) to sudden disabling vertigo episodes came and went, I was a human lab rat enduring medical tests that could be described as medieval torture, particularly electromyography, which entailed long needles being inserted all over my body dozens of times, followed by increasingly strong electric shocks that, when applied to my sciatic nerve, caused full body convulsions. This test was to rule out ALS, which doctors said was my worst-case scenario, and eventually I was told I may have multiple sclerosis. Four MRIs of my brain and spine, EEGs, more EMGs, something called "evoked potentials," and more tests ultimately concluded... nothing. I may have MS, the neurologist told me, and I may not. But, he finally said, whatever was wrong with me certainly was not in my head -- no one would endure these tests if something weren't really wrong. 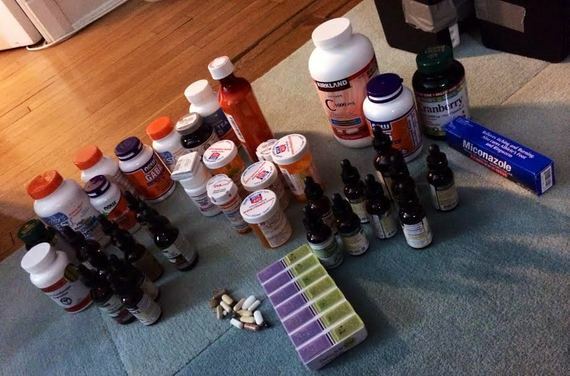 Actually, it turns out that I have Lyme disease -- and have had it since I was first diagnosed in 1997 at age 18. So all my adult life, it turns out, while I've been fearing HIV -- as much because of stigma as because of the actual life effects -- I've had another infectious disease that is much more mysterious to this day; in reality, Lyme today is as misunderstood and medically controversial as HIV was in the early 1980s. Everyone should be concerned about Lyme, but perhaps especially anyone who is active outdoors, and anyone who is sexually active -- and that's why this matters to gay men. PrEP is a godsend as a means by which to avoid contracting HIV -- but that's all it does. And evidence now suggests that Lyme may be transmittable not only by tick bite, but through sexual contact. I'll explore this disturbing theory and life with Lyme in the second part of this article.